Last Sunday Moonchild hosted our first ever yoga event! The Moonchild Yoga Gathering took place in our home city of Aarhus in Denmark at the breathtaking beautiful location Dome of Visions. The day started beautifully with a Strala Energize class guided by the stunning Isabella Westh. It was a magical hour of free movement and flow. After our Strala class, everyone was invited to hang out, mingle and enjoy a delicious juice shot from Living Superfoods. The beautiful location is by the water, which had the perfect Spring breeze that helped cool down all the hard working yogis. After taking a breath, the second class started with the magnificent Camilla Gadsden. For the second hour, Camilla taught a strong Core and Heart-Opening class. The day ended with hugs, smiles and goodiebags. We worked hard to make an amazing goodie bag with companies supporting us that align with our own values. The goodie bags included tea from Pukka, goodies from Rudolph Care, products from Ginger Organics, a magazine from ELLE, the juice shots from Living Superfoods, a raw-bar from Ganefryd and lastly the yogis rolled up their very own Moonchild yoga mats at the end of the day and took them home. The vibe of the entire event could not have been more perfect and it was all due to the amazing yogis that joined us. Their energy and smiles blew us away and we could not have been more grateful to spend the morning surrounded by all of you. 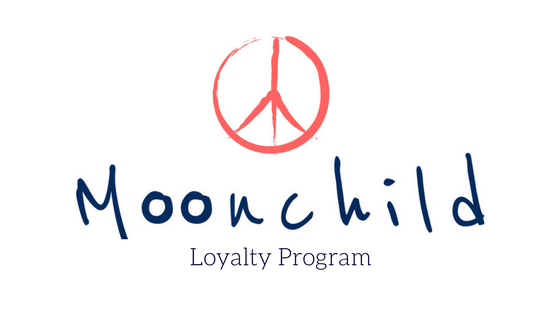 We want to take a moment to thank each and everyone of you for your continuous support of Moonchild Yoga Wear. We are incredibly grateful for each and everyone of you who share our love for Moonchild. We hope to host many more of these Yoga Gatherings and would love to hear from you, where you want us to host our next event!